After spending a couple of months trying to find someone to come into the business as an equal partner I am about to give up. I haven't had any interest even from tyre kickers so I think there is just not the interest around to get into farming, even though I am offering this partnership for someone even with no money or land. People say "what a great opportunity" but are not willing to move here to a small town. Obviously they don't want it bad enough. The business has so much room to grow with orders I can't fill and land I can't expand into because I just can't physically do it by myself. Oh well, I will just have to plod on. 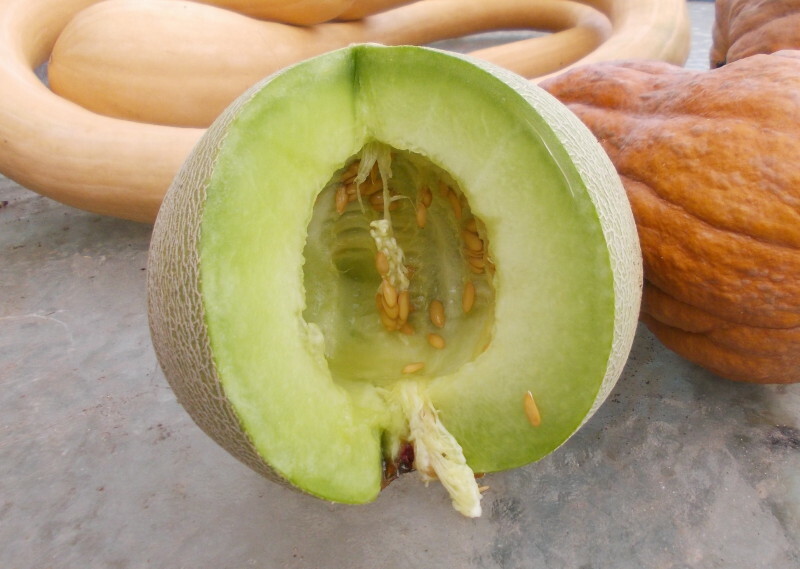 I am so happy that I found a few old seeds of this melon 'Green Bosnian' in the back of the cupboard. I thought I had lost it and was kicking myself, but now I have seeds from a couple of fruits from the one plant that managed to germinate. This is the best flavoured melon I have ever tasted and since there doesn't seem to be anyone else in the world with seeds any more you can imagine how relieved I am. The colour of the flesh of these fruits isn't as deep as it should be but that is probably just the genetics of the surviving plant. I may not be able to get the flesh colour back but at least I have the taste. 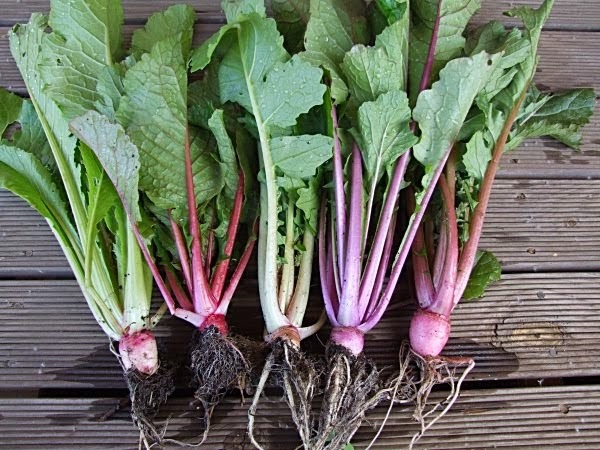 The one good thing about nearly losing this variety is that my efforts of the the last few years in trying to breed it back has resulted in some pretty amazing new varieties in the works. They are still a few years off though as it takes time to stabilise them. 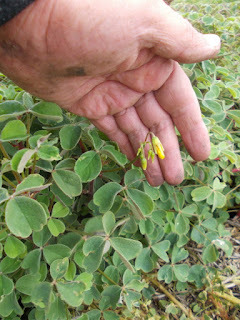 A few of my oca plants have started to flower, pity it is too late though. I thought I wasn't going to get any flowers this year. The frost will kill them off before I get any seed which is a bugger as I really wanted seed this year but I will have to wait. 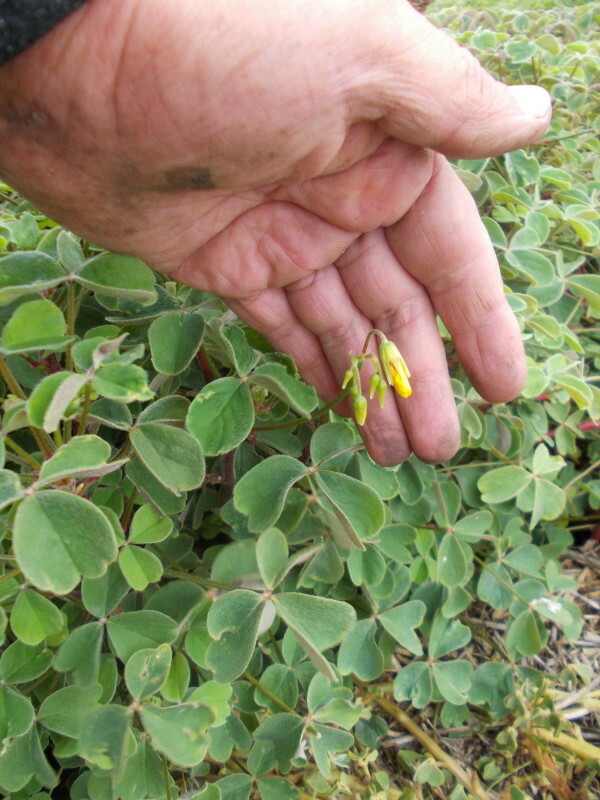 I have managed to get a couple of more heat tolerant oca plants this year with no stem rot either in mulch or bare ground so it is a start in my selection program. I hope that I will get a couple more every year and then I can release them to the public. Today I got a call from the ABC Radio rural reporter who wants to do an interview with me after Easter and take some pictures for the website. Wow, my communication skill may not be good but she assured me that it will be ok. That should be fun.